Home of nationally competitive Netherland Dwarfs! 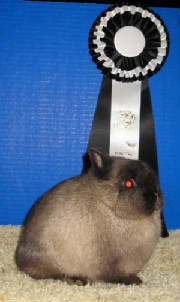 Ritter's Couture takes BOB Show A " Frozen Friends" 1/28/12 HER SECOND BOB WIN!! 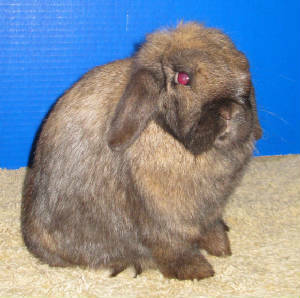 Ritter's Critters Rabbitry is located in Puyallup, Washington. My main varieties are black, chestnut, otter, siamese sable, smoke pearl, himalayan and broken. 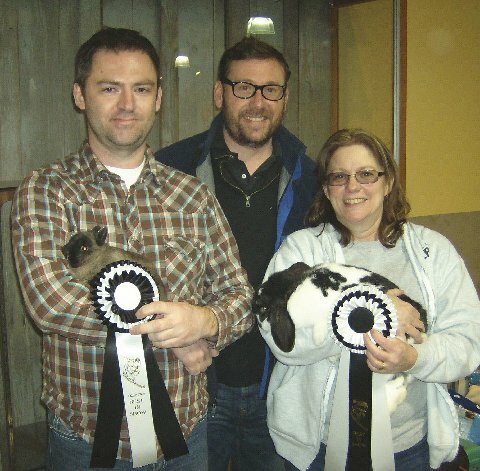 I have been breeding Netherland Dwarfs since 1998 and have done very well at both the local and national level. Dwarfs are a challenge to raise so when you get that special one, it is a very satisfying feeling to see it do well on the show table.